World Wide Fund for Nature said Wednesday it will host its Earth Hour 2016 campaign in Korea this weekend, inviting people to show commitment to save the planet. Individuals can participate in the campaign by switching off their lights for an hour on Saturday at 8:30 p.m. This year’s Earth Hour will be supported by mobile carrier KT and the Union Corporate Committee. The eight members – including Tyler Rasch, Guillaume Patry and Alberto Mondi -- of JTBC’s local TV show “Non Summit” will also participate in the campaign as celebrity supporters. “We believe these eight members of the show will best represent the core message that this global campaign highlights,” WWF said in a statement. During Earth Hour, the celebrity supporters will host an on-air show to encourage more people to join the initiative. Participants can also watch a quiz show about extinct animals online at www.earthhourkorea.org. The worldwide campaign Earth Hour was first launched in Sydney, Australia in 2007, in a bid to send a message to the people around the world that small moves can bring about a big change. It encourages people to turn off lights for an hour once a year. The WWF is the world’s largest institution devoted to conserving nature, with more than 5 million members in 100 different countries. The organization aims to conserve biological diversity, lead the sustainable use of renewable energy, and reduce unnecessary consumption and environmental pollution. 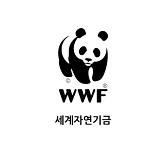 WWF Korea was officially launched in 2014.